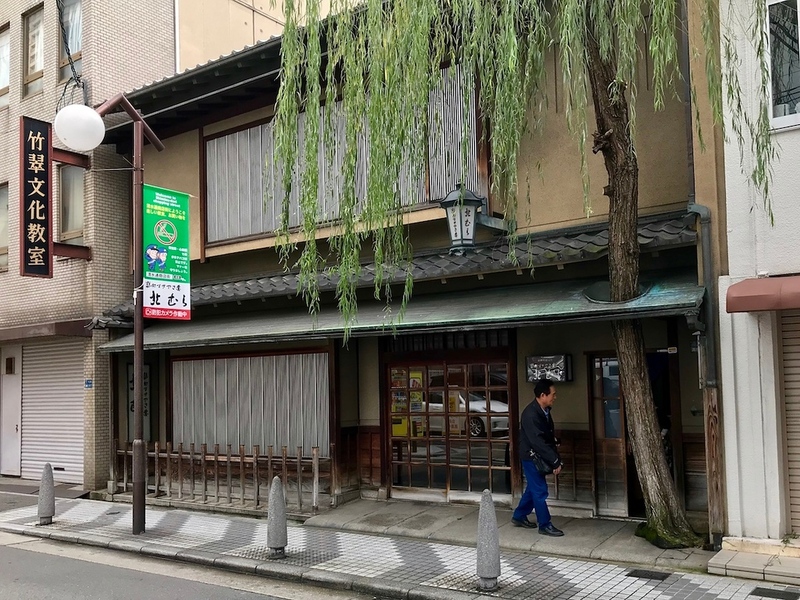 Kitamura is a classic, old-school Shinsaibashi restaurant serving some of the best sukiyaki in the city. We’d take the Michelin star with a pinch of salt, but the food is delicious. If you want a break from yakiniku and teppanyaki, give this place a try. Lovers of Japanese beef should put sukiyaki on the to-eat list when visiting Japan. We don’t mean the 1970s song, either - sukiyaki is a homestyle dish of beef and vegetables that’s elevated to greater heights when made with high-quality, finely-marbled beef. And when you’re visiting Osaka, there are few better places to eat this dish than at Kitamura. The Michelin star aside, the fact that it’s been open for almost 120 years is testament to how enduringly good the food is. Kitamura specialises in Kansai-style sukiyaki, which just means that they don’t boil it in a pre-mixed sauce like they do in Kanto (east Japan). Instead, the sauce ingredients are poured and mixed at the table in front of the guests before being cooked before your eyes. Imagine top-quality beef marbled through with fat, simmered in a sweet-salty sauce alongside fresh, local vegetables. You’ll never be able to see sukiyaki in the same way ever again. The restaurant surroundings are quite traditional, with some beautiful tatami mat rooms. But, there’s also the option of horigotatsu seating (with a sunken area under the table) means you won’t have to sit on the floor for long periods of time, so you get the best of both worlds! Subway: 3-minute walk from exit 6 of Shinsaibashi Station on the Osaka Metro Midosuji and Nagahori Tsurumi-ryokuchi Lines. :: Read customer reviews of Kitamura on TripAdvisor. Kitamura is located in Osaka's Minami district. See our complete list of things to do in the Minami district, including places to eat, nightlife and places to stay.